Parenting author, educator, and presenter Kimberley Moran works tirelessly to find best practices for simplifying parenting and maximizing parent-child communication. 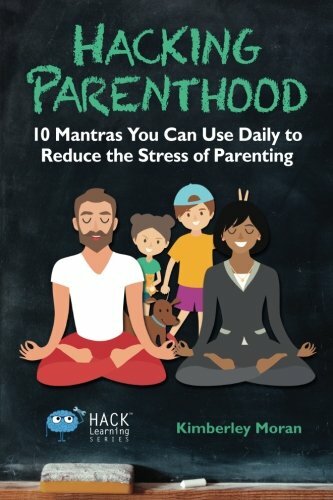 Using 10 Parent Mantras as cues to stop and reset, Moran shares concrete ways to parent with intention and purpose, without losing your cool, creating better parent-child connections. The PRN includes sample pages that parents can use as models for implementing mantras. These models are accompanied by blank templates you can actually write on, creating your own notebook pages that serve as your go-to guide for better parenting. Keep Hacking Parenthood and the included Parent Resource Notebook with you at all times. It's like having your own playbook for parenting teenagers and children of all ages.